Sendero and its founders have been pioneers in accessible technology for the blind since 1993 and launched the first accessible GPS for the blind in 2000. Sendero has been on a number of federal grants with universities and agencies as the principle investigator and as sub-contractors on a variety of projects. 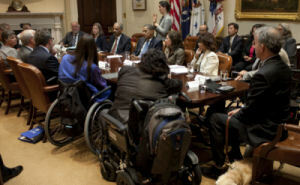 Founder, Mike May, has met personally with President Obama about accessibility. 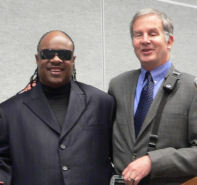 He has worked with Stevie Wonder to advance independence among blind people worldwide. He has worked with several companies, large and small, to improve accessibility on hardware products and within apps. To enhance accessibility and to increase your market to blind customers, please contact Sendero to discuss its consulting services.